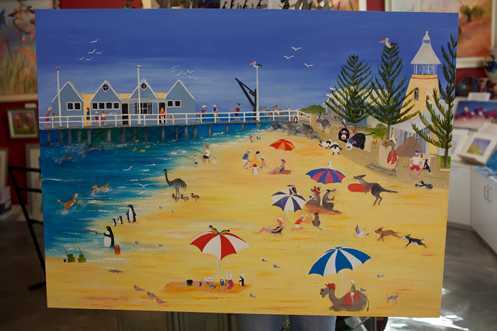 A real fun painting of life at the Busselton jetty. All kinds of creatures you would not normally see there. Oil on canvas framed with a narrow shadow frame.